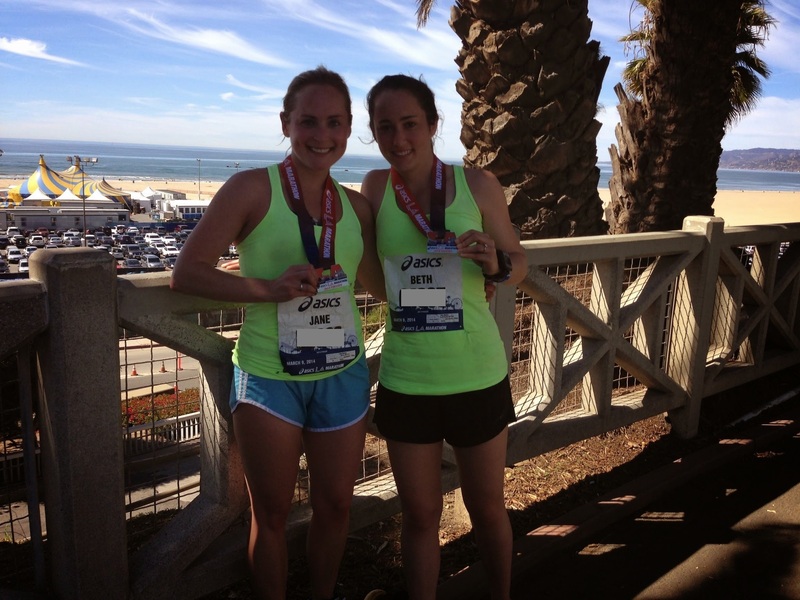 Last March my sister and I decided to escape the Boston winter and run the Los Angeles marathon. While running a PR was not the goal of this race, I did fit in some long training runs prior to the race. However these runs were mostly inside on the treadmill because of the weather. The race was just over three months after my previous marathon, Plymouth Plantation in MA. We flew to LA the Thursday night before the race. 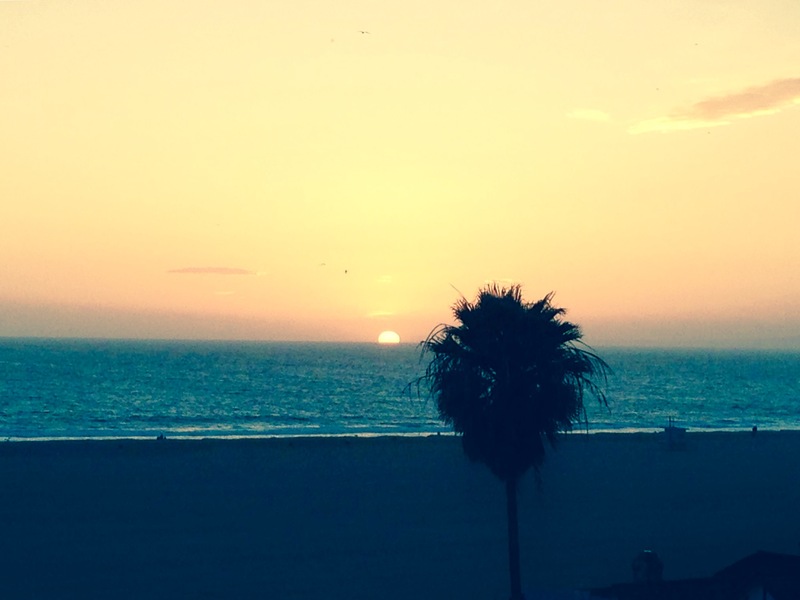 We stayed in Santa Monica, near where the “stadium to sea” race ended at the Santa Monica Pier. We loved this area of LA (like most people! ), and found some great food options. Sugar Fish, Stella Barra– pizza and other carb-rich items were perfect pre-and post-race! 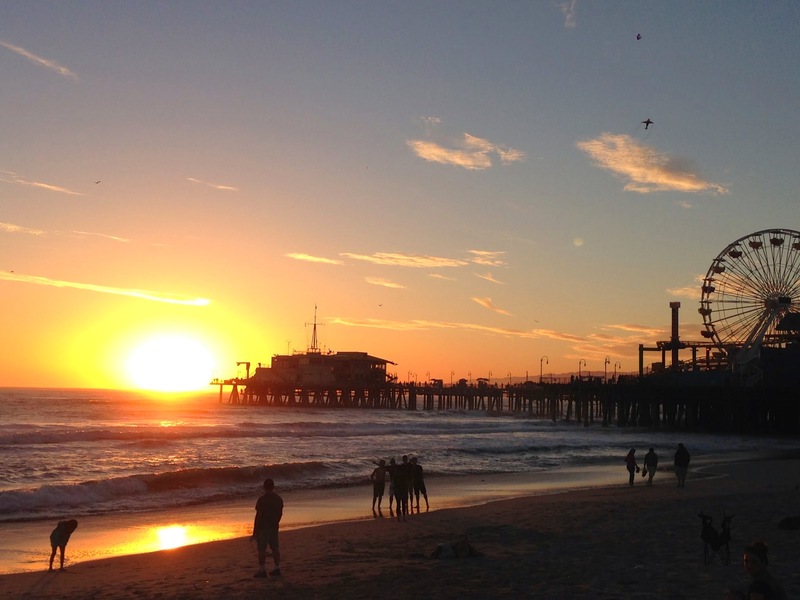 We also enjoyed exploring the Santa Monica Pier, Muscle Beach, and Rodeo Drive and shopping at Third Street Promenade. Bib and t-shirt pickup were at the LA Convention Center- plenty of parking and we thought it was conveniently located in the city. After eating our pre-race meals of peanut butter and banana on bagels, we shuttled over to Dodger Stadium a couple of hours prior to the 7:30 am race start. We felt that the shuttle system was convenient, and enjoyed hanging out in the stadium until the race started. Always a luxury to use real bathrooms instead of porta potties! The race started with a steep downhill, and a few more rolling hills followed. The rolling hills continued throughout the race until mile 24, when the course veered steadily downhill until the last 0.2. Course was overall scenic, passing all of the notable LA sites including Hollywood Hall of Fame, Beverly Hills, Rodeo Drive, Palisades Park, and Santa Monica Pier. There was also a decent amount of entertainment along the course, and adequate water stations. The issue that my sister and I had with the race was the heat—the race started with a 70 degree temperature and climbed up into the mid-80s by the time we finished. I decided early on that given the heat, I would take this race easy and enjoy the sites. The race directors pushed up the date of the race by several weeks, which I think is a great idea. Hopefully future LA marathons are met with cooler temperatures! My sister and I were happy to relax in the California sun on Santa Monica Beach for the rest of the trip! Previous Previous post: Miami Marathon Review and a Destination Half!